Involved, informed patients are better able to manage their own care. Lenovo Health provides the solutions and expertise to help healthcare organizations engage patients and achieve the vision of customized care anywhere, from hospital to home. 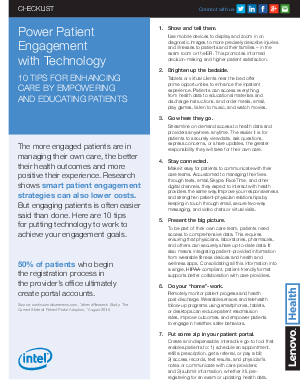 Are you meeting your patient engagement goals?